4 Double-Decker Graves for Sale! Transfer done at cemetery / burial / funeral office. 4 plots side by side- double depth side by side! 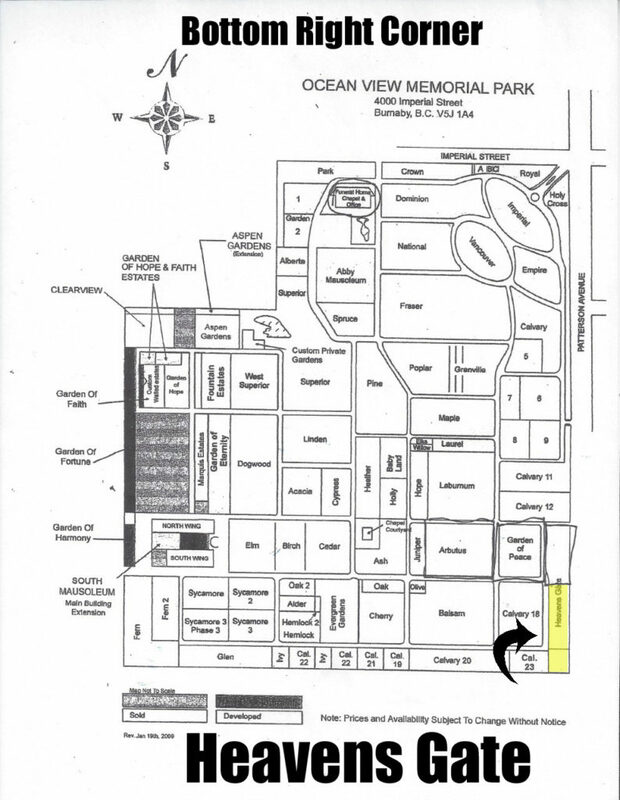 Heaven’s Gate section- lot 911 graves 1-4. $60,000 Each. This section was sold out in 1996, so it is extremely challenging to find this many graves for sale at the same time! 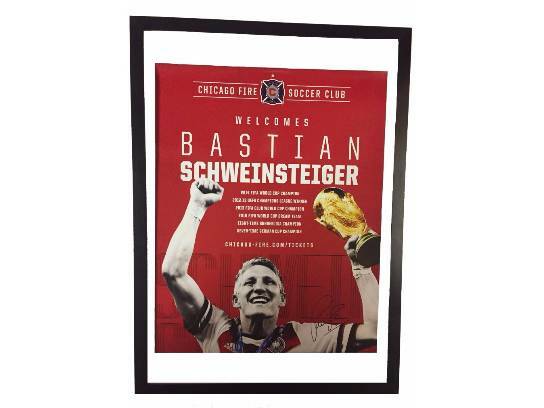 Own this framed signed poster by German footballer and Chicago Fire midfielder Bastian Schweinsteiger! Schweinsteiger spent 13 seasons at Bayern Munich, playing in exactly 500 matches across all competitions and scoring 68 goals. His honours at the club include eight Bundesliga titles, seven DFB-Pokal titles, a UEFA Champions League title, a FIFA Club World Cup title and a UEFA Super Cup title. He joined Manchester United in 2015, playing sparingly for 18 months before moving to Chicago Fire. Schweinsteiger played for the German national team from 2004 to 2016. He is Germany’s fourth most-capped player of all time, having earned 121 caps and scored 24 goals, in a 12-year international career starting in 2004. He was selected in their squads for four European Championships and three World Cups, including their victory at the 2014 FIFA World Cup. In 2014, Schweinsteiger was named captain of the national team. He played his last match for Germany on 31 August 2016, after which he retired from international football. Any help spreading this through your network would be much appreciated. If you have any questions, please do not hesitate to reach out. Filming the concert organized by the German Consulate in Vancouver and the Jewish Consulate from Toronto, called “Israel & Germany Two Cultures – One Future” was Alison MacLean’s way of giving back. She spent 3 months in Afghanistan and really appreciated the help she received from the German Armed Forces at Camp Marmel, among others. Camp Marmal is the largest base of the Bundeswehr outside of Germany. It is next to the Maulana Jalaluddin Balkhi International Airport in Mazar-i-Sharif, Afghanistan, close to the Hindu Kush mountains. The camp was opened in September 2005 and gets its name from the bordering Marmal Mountains. Camp Marmal hosts the staff of the German Armed Forces in Afghanistan, Regional Command North of the International Security Assistance Force (ISAF), as well as the Quick Reaction Force (QRF), stationed at Camp Mike Spann. More than 5,000 soldiers are currently stationed at Camp Marmal. Additional forces come from the US, Croatia and 14 other NATO countries as well as from Georgia. From Camp Marmal, ISAF soldiers conduct work in northern Afghanistan related to physical security and joint civil/military projects, in addition to the major task of supplying the Provincial Reconstruction Teams. The Police Chief, Afghan Translator and female Police Officer and Uniform recipient. I am attaching some pictures from Camp Marmal. I have a nice story of my time on Base last year. Very grateful for the support that I received, as all Journalists have become targets in the Arab world. The Base enabled me to have some security. Each day I was in the Mazar E Sharif Community, without protection. I brought Direct Aid to a Orphanage, Women’s Prison, and the Afghan Police Women, who I feature, and outfitted with over 80 Uniforms last year. Camp Marmal has enabled my Direct Aid, and the Vancouver Consulate is now assisting with my Fund for Computers for Orphans, said MacLean in an e-mail. The Third picture is three little girls at the Orphanage that I will continue to assist. On her last trip Alison MacLean provided Educational, Medical, and Funds to support these three groups. “My documentary focuses on Afghan security, with profiles of police and military women. · Understanding the importance of situational awareness and how it relates to personal safety. This presentation will involve classroom instruction to discuss personal safety and prevention strategies. There will be practical gym training to practice physical moves that can provide an opportunity to escape effectively. You will be required to sign a waiver to participate. Women interested in participating in this seminar are asked to contact the Strathcona Community Center @ 604-713-1838 or in person prior to April 15, 2015. UpGyres is partnering with Oceanwide Expeditions, an exclusive Dutch vessel operator organizing voyages that make it possible for passengers to enjoy the scenery and nature above and underwater in the world’s most unique areas. The regions visited during these wildlife expeditions contain hardly any infrastructure and are almost only reachable by boat. UpGyres is promoting a seven night Trip to the Arctic from August 28 to September 4, 2015. Supported by the Arctic Expedition Cruise Organization AECO, and the Governor of Svalbard, Cleaning the Shores Polar Bear Special brings the garbage collected during the voyage to the incinerator in Longyearbyen, Spitsbergen. Oceanwide Expeditions, AECO and UpGyres are studying possibilities to divert the plastic recovered during the expedition from incineration and instead, produce low emissions fuel for use at ports and in vessels in the Arctic. By getting 10 (ten) of your colleagues, followers, friends and/or associates to become paying passengers on this Polar Bear Special, UpGyres will cover travelling expenses for you (or someone of your choice) from your departure city to Oslo and back, and Oceanwide Expeditions will host you on-board of the m/v Ortelius free of cost. The Upcycle the Gyres Society wants to collect and convert ocean plastic into usable fuel. Over the past three years, I’ve written about the plastic debris or plastic gyres, in our world’s oceans. The latest news is that the gyres are growing larger, making the need to find solutions to clean them up even more critical. The Upcycle the Gyres Society is a new, not-for-profit that plans to upcycle floating ocean plastic debris into diesel, gasoline, and kerosene. The possibility that this venture presents is exciting. The plastic is there, albeit in zillions of fragments throughout our oceans, so there is accessibility. The technology of converting plastic into fuel is proven. Offshore production, storage, and offloading technology is there. And green ships that are powered by the sun, wind, and wave propulsion already exist, which would make this kind of venture economically feasible. Also on the plus side, converting plastic into fuel creates a carbon capture from the recovery operation which leaves the water right where it is – no water demand.